Fixing your roof for over 30 years. One of our many personal goals we have at Whickham Roofing is that we leave nothing but happy customers. That is why we are part of open bodies like checkatrade so that you know that what people say about us is the truth. We do our best to keep all the latest verified reviews on our website but everyone is more than welcome to view our own profile as well. Efficient and hard working. Arrived at 8 am and never stopped until job was finished. Great work, very impressed. Thanks! Very pleased with the work. 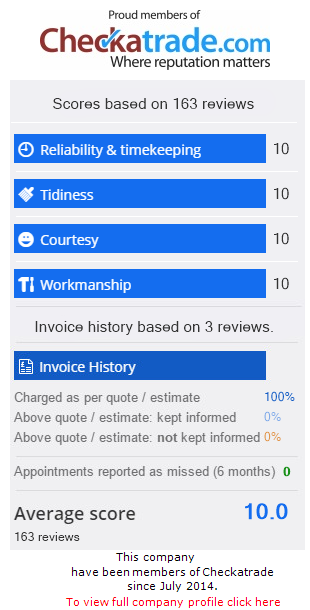 Could not ask for better service. Would definitely recommend. At Whickham Roofing we have been providing roofing services for over 30 years. Our family owned business is dedicated to delivering quality with a friendly service. Well known in Newcastle and the local area we provide a range of roofing services for domestic and commercial customers including applying felt roofing, slate roof tiles, fascias and soffits, chimney repair and general roof repair.